Tucked away in the northeast corner of the Bronx, not far from Edenwald Houses, the borough’s largest public housing project, sits the Cardinal Spellman Highschool — a private, yet still affordable catholic high school (the annual tuition is under $7000), that has been for the past fifty years, as Lauren Collins put it in a recent New Yorker article, home to “strivers of assorted ethnicities” attempting to better their situation. It’s not surprising, therefore, that a young Sonya Sotomayor found her way to Spellman in the fall of 1968. After distinguishing herself academically (she was valedictorian), Sotomayor graduated from the Bronx to Princeton University and then on to Yale Law School, where she was editor of the Law Review. After paying her career-appropriate dues in the New York District Attorney’s office, she moved into corporate law. In 1991, Sotomayor was appointed a district court judge, and in 1997 she advanced to the court of appeals. Even at this early stage, her potential to become a Supreme Court justice was recognized (Rush Limbaugh dedicated an entire show during her appeals court confirmation to stalling her “rocket ship to the Supreme Court”). Earlier this year, Sotomayor realized this potential when President Obama nominated her to fill the seat vacated by David Souter. Sotomayor is great at what she does and loves doing it. Translated into the vernacular of modern career advice: she found her calling. In a column written during Sotomayor’s Supreme Court confirmation hearings, David Brooks describes the ambitious jurist as an exemplar of a “meritocracy that gets more purified and competitive by the year, with the time demands growing more and more insistent.” As Brooks noted, Sotomayor divorced twice and is candid about her workaholism. “Certainly the fact that I was leaving my home at 7 and getting back at 10 o’clock was not of assistance in recognizing the problems developing in my marriage,” she once said. Sotomayor’s story and Brooks’ commentary were brought to my attention in a trio of posts written by Ben Casnocha. In these posts, Ben argues that a calling — which he defines, quoting Michael Lewis, as “an activity you find so compelling that you wind up organizing your entire self around it” — is usually pursued at the expense of the other important areas of your life. “If you want a calling, you don’t have time for a family,” Ben proposes. Casnocha and Brooks are correct to notice that true callings are often truly corrupting to the overall quality of their subject’s lives. High stakes fields like law or finance, for example, are rich with Sotomayor-style workaholics. But this Faustian trade-off is not inevitable. In this post, I highlight a different path; one that preserves both elements of the remarkable life — professional engagement and deep enjoyment of daily living. To do so, I’ll enlist the aid of a provocative personality who started life on a similar trajectory as Sotomayor, but then split off in an unexpected direction. When the future New York Times columnist Nicholas Kristof arrived at Harvard in 1978, he knew he was a good writer. “I expected to shine in the mandatory expository writing class,” he recalled in a blog post. But he was soon “mildly traumatized” to discover that he was only the second best wordsmith in the class. McKibben, a brash young environmentalist from Palo Alto, leveraged his writing skill to become editor of the famed Harvard Crimson. This prestige earned him a spot as a staff writer for The New Yorker after graduation, where he worked on the Talk of the Town section throughout the mid-1980s. Up to this point, McKibben’s story closely follows Sotomayor: he focused his attention on building a rare and valuable skill, which earned him access to elite worlds. In 1987, however, the paths followed by these two upstarts diverged. After watching Bill Shawn, the editor who hired him, be ousted from The New Yorker, McKibben quit — moving to a small village at the foot of Crow Mountain, an unassuming peak nestled in the Adirondacks. Once there, he penned The End of Nature, a bestseller that introduced global warming to a wide audience. McKibben continued freelance writing, publishing a series of books that addressed issues of environmentalism and sustainability — often centered around lifestyle experiments. In The Age of Missing Information, for example, McKibben watched 24 hours worth of programming on all 93 channels available in a Washington D.C. suburb, and then compared the experience to a day spent on a mountaintop near his Adirondacks home. Eventually, McKibben and his wife moved to the Champlain Valley of Vermont, where he accept a post as scholar in residence at Middlebury College — in essence, being paid to think big thoughts and inspire students to do the same. He continues to write influential books (Al Gore cited The End of Nature as bolstering his dedication to climate change), and his organization 350.org, which promotes climate change activism, has become an important voice in the conversation surrounding the topic. Though his work is engaging and affects the world, McKibben’s lifestyle is far different from the late night marathons of Sotomayor. 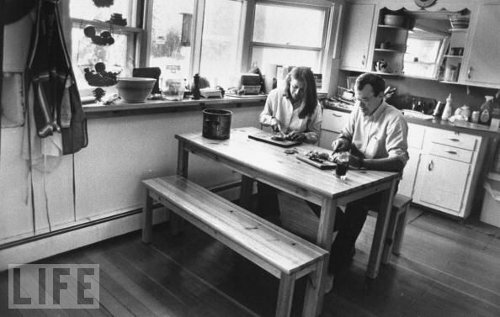 An article in Progressive Magazine, for example, describes his days as “filled with canoe trips, mountaineering, writing, and teaching”; a rustic rhythm succinctly captured in the photo that opened this post, which shows a young McKibben and his wife enjoying a sunny afternoon. Whereas Sotomayor personifies ambition pursued at the expense of all else, McKibben’s story resonates with our conception of the remarkable life. It’s worth asking, therefore, what lessons we can extract from these two divergent tales of achievement and happiness. Autonomy — control over how you fill your time. Competence — mastering unambiguously useful things. Relatedness — feeling of connection to others. Sotomayor has competence in spades, but lacks autonomy and relatedness. McKibben, on the other hand, maintains high levels of all three traits — which explains why his story inspires us. How did McKibben build up all three traits? Why don’t more people follow his lead? The answer to both of these questions can be found in a little understood concept that I call the competence trap. The direct route to achieving autonomy, competence, and relatedness is to master something rare and valuable. The argument is economic: if you want your career to accommodate these desirable traits, you need to offer something valuable in return — the market couldn’t care less about your soul’s ache for fulfillment. Imagine you’ve managed to become “so good they can’t ignore you.” By doing so, you’ve earned what we can call career capital. You can now invest this capital to gain desirable traits in your life. Here’s the catch: this option is unlikely to be presented to you. From the perspective of the talent marketplace, the only investment that makes sense is to double down on competence — the better and more respected you are, the more value you have in the market. The other spheres, though important to you, don’t arise naturally in this economic calculus. Because of this reality, in the heat of the moment, it will seem as if only Sotomayor-style, competence-centric paths are available. This is the competence trap: when you amass enough career capital to exert meaningful control over your life and career, the only investment presented as reasonable will be to further maximize your competence at the expense of the other areas of your life. The Ivy League student who graduates with honors is attracted to law school because it’s the next rung on a competitive competence-growing ladder. The ambitious med student turns to a demanding specialty because it’s presented as the domain for hot shots. The young corporate star enrolls in an MBA program so she can return to the management fast track at the company, as that’s the prize stand outs are supposed to chase. To follow McKibben’s lead requires a cautious awareness of the competence traps that will litter your path as you become better and better at what you do. This concept provides many opportunities for subtle misunderstandings. With this in mind, let me address two important caveats. The competence trap is not an argument to avoid the rat race to instead go live in semi-agrarian simplicity. The decision to invest in your autonomy and relatedness is meaningless if you don’t have career capital to spend. Mastering something rare and valuable remains the necessary first step. For example: if McKibben had coasted through Harvard then moved directly to the Adirondacks, he probably would have failed. Key to his path was first becoming an excellent and respected writer. The End of Nature, for example, was serialized by his old employeer, The New Yorker, before publication — helping to ensure a big impact. Deciding to leave the magazine world to write books was not a risky decision for McKibben — he knew he had game, as did the publishing industry — it was just an unusual one. As I’ve argued before, these big changes shoudn’t make you too nervous. Sidestepping the competence trap doesn’t mean that you stop building your competence to instead dedicate your life to your family, or your garden, or whatever other image dominates your daydreams. Instead, it means that you build autonomy and relatedness along with competence. You’re not stepping into an existence free of responsiblity; the remarkable life can still be remarkably demanding — but it’s demanding on your own terms. If you’re serious about building a remarkable life, you must be wary of the competence trap. Don’t expect the path to autonomy, competence, and relatedness to obvious — no one at the New Yorker, we can assume, was suggesting to McKibben that he should leave his dream job to move to a mountain cabin. It is up to you to ignore where the market is pushing you, and instead use your own assessment of value when identifying your options. I’m emailing this to every grad student in my program. I owe you a nice, long thank you note some time, Cal. For now, I’ll just say that I consider your website to be one of major factors in my sticking with (and becoming successful) in my graduate program. When I could see nothing but a life of drudgery in front of me, you gave me hope. Thank you. Wonderful article. And a perfect antidote to the occasionally overwhelming suspicious that once you’ve mastered planning an essay and studying in a forest, that one is in fact the living breathing incarnation of Fitzgerald. Which we all need from time to time….. I think your posts on this topic have been fantastic, but I have one small quibble. McKibben’s life choice was enabled not by some easily repeatable and engineerable path – he arrived at Harvard as already the best writer in his class. Using his career path as an example of a way to achieve life success reminds me of that old Far Side cartoon with two physicists staring at a blackboard covered with equations, with a space in the middle showing the words “a miracle occurs” and the tagline is – “I think that middle section needs a little work.” I think your framework for defining success has a ton of merit, and your analysis of McKibben’s life choices seem on target, but not all of us can fill in the step of “arrive at Harvard as the best writer in your class” as a pre-requisite. I really like your definition of the “competence trap”. People do reach a point in their lives when they need to make decisions on how they want to live, and yes they feel that there not a lot of options! This is because the competence path is presented as the default option. I think the psychological effect of a certain path being presented as the default is called anchoring; Once people get anchored on an idea it’s hard for them to think of other possible options. This is particularly prominent when faced with decisions. An effective way to overcome this is by imagining you are in the future and in retrospect you tell a friend about 1) how wonderfully good your choice was, that exceeded all of your expectations, and 2) how bad your choice turned out that disappointed you in ways you could have never imagined. This process makes you think of a whole spectrum of possible choices/decision outcomes, thus letting you deanchor of what you thought as the only path. Fascinating perspective! Your statement “The direct route to achieving autonomy, competence, and relatedness is to master something rare and valuable” reminds me of Seth Godin’s latest book, Linchpin. His argument is that becoming indispensable through acquiring a valuable skill is the best career choice one can make, but I like your addition of advocating balance for a more fulfilling life. I don’t think I really agree with your argument here Cal. All you really show is that Bill McKibben made an unexpected career move but still managed to be successful (which is a useful lesson), but it doesn’t follow that just by doing this you have to put in less time or work less hard than people on a more conventional path like Sonia. Which seems much more Sotomayor-esque. You say the trade off between having a calling and having any kind of home/personal life isn’t inevitable, but maybe this is only true for certian kinds of calling, like writing. Are you really suggesting Sonia could have gotten to where she is by any other route? Yes not everyone has to aim for the supreme court or equivalent, but some people do. I like your style, sir. Yours is the only blog that holds my attention regardless of the length of your post. Much that you say about particular lives seems right, but I must disagree with your theories. Bill McKibben’s earlier life may have had a lot more human connections in it than Sotomayor’s. McKibben’s choices, however, do not strike me as an “unexpected direction.” For Harvard-educated writers there is a well-charted career path straight up from (a) the Harvard Crimson through (b) writing for the New Yorker to (c) writing books–or two out of the three. A couple of examples. David Owen is a Harvard-educated New Yorker staff writer who also writes books, most recently Green Metropolis. Jim Cramer was the editor of the Harvard Crimson and wrote for numerous publications, indeed, founded The American Lawyer, before starting to write books, including, recently, Mad Money. Justice Sotomayor’s story might appear to prove that no workaholic can practice law nowadays at the highest level and also maintain family relationships. The United States Supreme Court, however, provides one counter-example to that theory, in the person of Justice Ruth Bader Ginsburg. She is a mother of two children who got married even before she entered Harvard Law School, and whose marriage appears to be a remarkable model. When I could see nothing but a life of drudgery in front of me, you gave me hope. I’m really happy to hear that. One of the greatest advantages of an academic path is the high level of freedom you’re given. This is especially true in grad school, where the needed production of results are compatible with a wide variety of lifestyles. 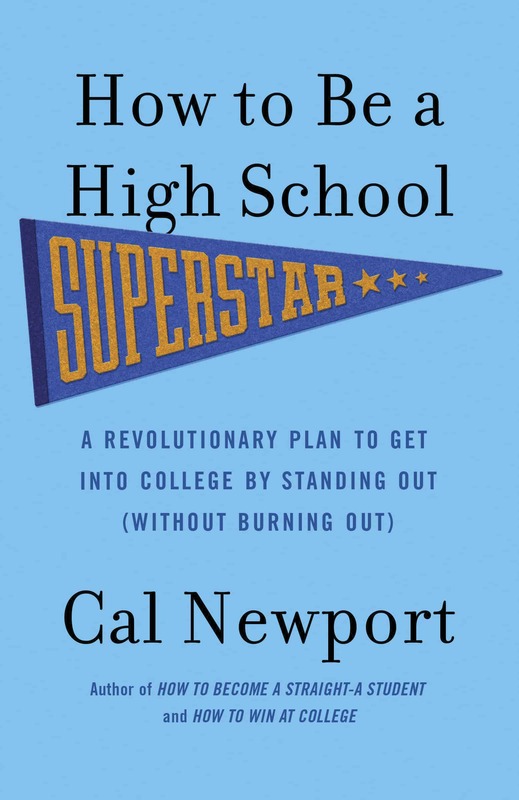 The mindset on campuses is often even worse: the student doesn’t bothering mastering essays because they assume that’s a prosaic skill unworthy of the time of their natural talent. McKibben’s life choice was enabled not by some easily repeatable and engineerable path – he arrived at Harvard as already the best writer in his class. That just means he started his route to mastery earlier. I think the big picture observation holds: he had options because he was excellent. The fact he reached excellence so early — due to an early start — is an unrelated issue. Indeed. My issue with Linchpin, however, is that Godin makes it seem like the biggest obstacle to becoming indispensable is having the courage to be different. He completely under-emphasizes the difficult and non-triviality of that task. Which seems much more Sotomayor-esque. Notice my caveat #2 — this lifestyle is still demanding, but on your own terms. McKibben is in a busy period because he decided to make a push with 350.org. He’s in control of this busyness. Sotomayor, as a rising partner in a Manhattan law firm, was not. Are you really suggesting Sonia could have gotten to where she is by any other route? Nope. I’m suggesting that the Sotomayor-style route is not the only route if you want a life where you feel engaged and accomplished with your work. For many ambitious people, this fact isn’t made clear. 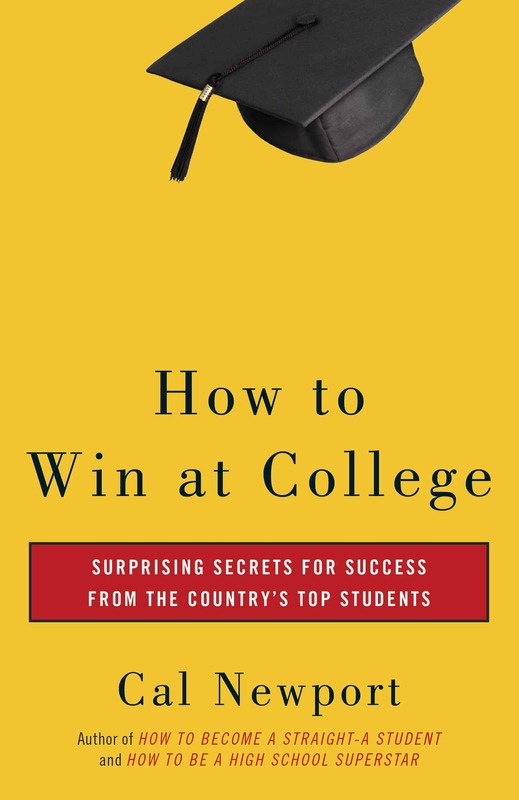 For Harvard-educated writers there is a well-charted career path…Jim Cramer was the editor of the Harvard Crimson and wrote for numerous publications, indeed, founded The American Lawyer, before starting to write books, including, recently, Mad Money. Jim Cramer lived and continues to live an incredibly stressful life. According to his biography — which I read for some reason — he was rarely able to sleep past 3am due to the general stress of his position as a hedge fund manager. He’s the antithesis of McKibben. The big point is not just that McKibben wrote books, but that he unplugged from the New York-centric, bustling publishing world — moving far from those expectations to work on books that he found important on his own terms. I really enjoy your posts and I find many things I agree with you on, but I think here you might be neglecting what each individuals want out of their lives. The example which comes to mind is Steve Jobs, who I forget when, said that the only 2 things in his life are work and family – he doesn’t have much time for friends or really anything else in his life. But he loves it. I think lifestyle choices are very strongly linked with personalities. I think Sotomayor, even if she could choose between the two lifestyles, would still pick her current lifestyle – because that’s what she wants out of life – she wants to spend most of her days working on laws which have a tremendous impact on the way the legal system functions in the US. Just food for thought – I don’t think it’s right to assume there’s one pattern of a great life. My point was about expected career paths. It had nothing whatsoever to do with stress. 1) It seems so remarkably hard to reach the “competence” stage–at what point do you realize you are competent enough to start trading that capital in? 2) Unrelated question–when you have graduated, what do you do during a prolonged period when you can’t get into a “career” that cultivates you in the direction you want to go? For instance, a recent Harvard graduate who wants to become an expert in finance but can only get jobs in other fields? I agree with Matt in that what you want to do/become/get involved in naturally maps out the kind of life style you are going to have. For example, I am really involved in theater and I feel like there is no way in producing a good piece of theater with 5-hour work day, I-go-canoeing-every-weekend principle. You can’t. You have to pour every effort and time you have in your production. That combined with the fact that you make NO money in theater and that you have to have a job outside to support yourself, it becomes much harder to be in control of the amount of time you spend. Thankfully, the only people who will put themselves in this kind of situations are people who are absolutely passionate and crazy for the art. GREAT article!! Your post are one thing I always make time to read. Hi Cal, I’ve been reading your website for close to a year now and I’ve bought both of your books! I’ve never really been drawn to comment on this website until now! The points you make in this article seem, for lack of a better expression, just so true! Keep up the wonderful work! Thanks for the reading Cal; I will need some time to digest the real implications of this! You write this article while simultaneously planning to find a tenure-track position at a research university? Professors don’t have it as bad as people in law or finance, but they still devote a pretty huge amount of effort to their profession, almost without exception. How are you going to deal with that? Your thesis is interesting. But with 550 people in my law school class, I keep testing your generalizations about lawyers on a lot of cases. You could do a whole book about Harvard and Yale Law Schools. I can think of plenty of classmates who are law firm partners with good marriages and apparently lots of professional autonomy. But I do also have classmates who have struck off in genuinely unexpected directions. One man even left his law firm to pursue getting his hometown made into a national monument–he succeeded last year. I mentioned Ruth Bader Ginsburg above. She is much older. So despite being tied for first in her class at Harvard Law School–she spent her last year at Columbia to follow her husband–she could not get a law firm job when she graduated. So she could not have burned out on that particular competence track if she had wanted to. She clerked, she went abroad on a research project, and then she led a unit at the ACLU and taught in law school before becoming a judge. You might say Ginsburg had autonomy forced upon her. I think @John Morrison’s question deserves a closer look. Glenn Kurtz writes that this realization is the “unacknowledged disaster” of most musicians’ lives. So what do you do if you are trying to attain mastery of something, or to become outstanding at something, and you put years into it only to find that you’re not the best writer in your class or the best pianist in your graduate program? 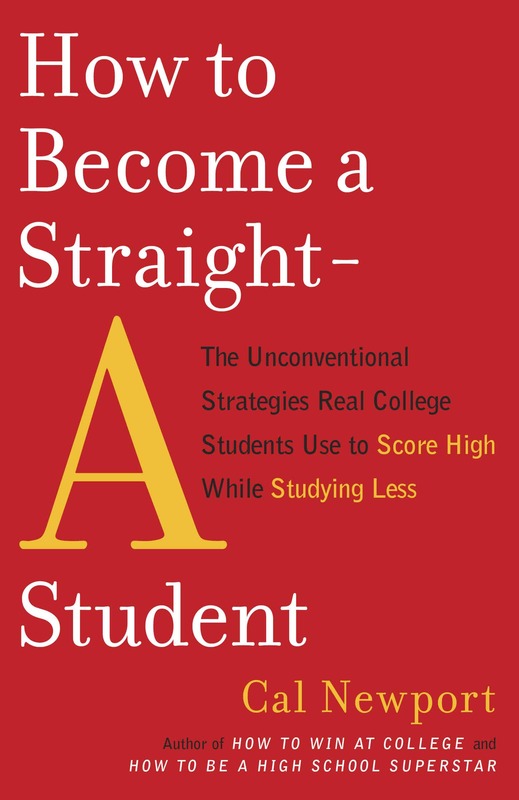 how do you see reading non-academic related books to be a better person? Finding a rare and economically valuable skill to focus on is more difficult than it sounds in my view. Some skills seem to have a “bubble” (I’m thinking of the 1990s Internet/tech bubble demand for programmers) aspect to them. Also, what does valuable mean? If you had to suggest a methodology for a high school (or college) student to research a “rare and valuable skill” what would you suggest? For me (and many I know), there’s a major mismatch between passions (e.g. researching and writing history) and the kind of activity the market rewards (e.g. playing games with options and deriveratives…). Becoming so good at something that you can dictate your work environment (Greg House of the House MD TV show comes to mind here; he mostly uses his autonomy for ill though) seems like a very rare development indeed. I completely agree and live out this concept as an entrepreneur who LOVES what I do and still works 40 hours a week, takes the nights and weekends off, and goes on vacation 4-5 weeks a year. Having to be busy all the time to be successful is an urban legend. And it’s incredible how entrepreneurs who have the ability to set boundaries end up being their own worse bosses. That’s why as a time coach, I teach people how to making a living AND make a life. Thank you for helping people realize these are both possible. Each field has a specific path that is rewarded and considered to be the “best” one. What’s amazing to me is how hard it is to avoid this kind of groupthink, even when one recognizes it at work. The peer pressure that values specific career steps is insidious but tremendous. I’m always fascinated in reading about individuals that successfully break away. I think gender roles and expectations have no small bearing on the different outcomes of Sotomayor and McKibben. Absolutely true…better to learn this sooner then later. Key Graph: The direct route to achieving autonomy, competence, and relatedness is to master something rare and valuable. The argument is economic: if you want your career to accommodate these desirable traits, you need to offer something valuable in return — the market couldn’t care less about your soul’s ache for fulfillment. You bring hope to every student that strives to become better at the same time maintain the value of what is truly human. You start off with the academic perspective but with such grace your values and ideas transcend into the reality of life and all its goodness. You write with a vision of improving lives- a mission greater than your very own self. Thank you Cal, I’ve been a huge fan. I’m from the Philippines. Oh yes, you are loud and clear from here! Cal, I have followed your blog for a long time. But this article forced me to put in a comment. This is so beautiful I think I almost cried. It came at an appropriate time to me too. Thank you so much for writing this and so well thought of. I agree. An argument my professor for “The Psychology of Wisdom” made was that we are not rewarded for living a meaningful life in our society. We are rewarded(in terms of money, kudos, fame, etc.) for overspecialization and those who choose to live a remarkable life/meaningful life aren’t often well-known, though you do a good job of highlighting them. 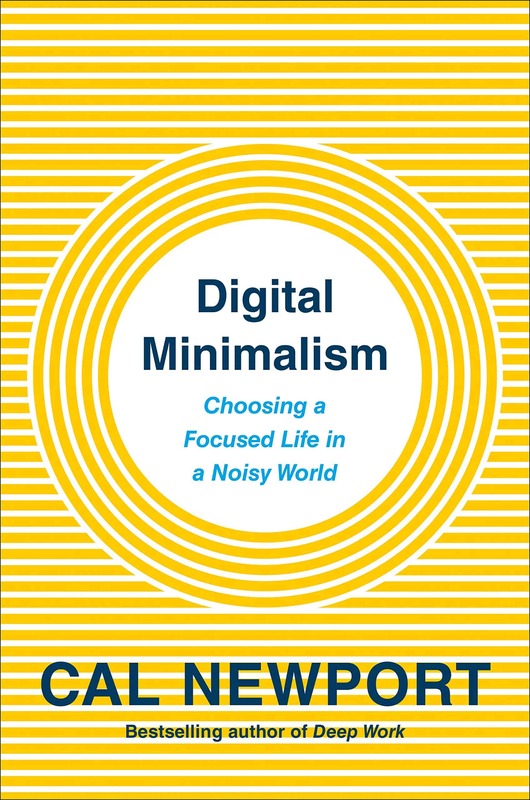 It is easy to fall into the trap of going for what we are immediately rewarded for (basic Pavlovian condiitoning), but a remarkable or meaningful life is more…well…meaningful. Also, would you be able to install that plugin so commenters can be notified of other comments made through email? Email me and I can tell you which one I use. Personally, I found the book, Your Money or Your Life to be very enlightening along similar lines as your post. Very good book. One of the few that I’ve bought after reading it and reading it for the third time now. ” When I came to LA, I left behind a wonderful relationship with a woman who was much too good for me. In the intervening four years, I’ve gotten on a path towards a high-earning career. However, I have also felt more emotional pain than in the rest of my life combined. I’ve hardly even had a date since working 70-80 hours a week. I recently tried crawling back to my old girlfriend, but she wanted nothing to do with me. …if you want to be a great scientist you’re going to have to put up with stress. You can lead a nice life; you can be a nice guy or you can be a great scientist. But nice guys end last, is what Leo Durocher said. If you want to lead a nice happy life with a lot of recreation and everything else, you’ll lead a nice life. Not to mention the line about scientific discovery being better than romance, wine, and song put together, which given the divorce rate among new hires at Harvard I guess people take literally. Certainly people don’t get Nobel Prizes by putting their work second — but not every successful career needs to be comprised of first getting tenure at MIT, then getting into the National Academy, then getting a Nobel Prize, which I think is what you’re getting at here. ^ I disagree. A single minded focus on your narrow focus for research can be detrimental. For example, many of the major evolutions in fields are coming from combining different fields. I don’t have a source for this at the moment but I recall reading that Nobel prize winners are also advanced expert level in another field or hobby or job. @RTWolf: I actually wasn’t quoting Hamming in order to agree with him. I was pointing out that while I’ve seen his work brought up in the comments, I think Hamming’s ethos seems at times to part ways with Cal’s, and I think this post really reveals that difference in philosophy. Also, I think your point about single-mindedness is a different, but important one. Probably Hamming (and I, for what it’s worth) would agree with you there. Certainly Hamming was all about sitting at, e.g., the chemistry and biology tables at Bell Labs. My post was referring more to a question of lifestyle and how you engage with your career in general, regardless of what the particulars of your field(s) are. Food for thought. I’m ambitious and I know I’ll be successful. But I won’t to maintain a balanced life. I think it is important to point out that he primarily achieved this through producing a product beyond his own labor (books). I think it is fundamentally harder, in the long run, to pursue a career of employment and achieve great levels of autonomy & relatedness, where you are primarily producing value through your labor (personal time & effort) for someone’s company or institution. Creating an asset of value beyond yourself is where the bigger leverage point exists. Not necessarily relying on more competency within yourself, although that is important to a point. But I’m biased as a professional entrepreneur. The bottom-line is delivering enough market value (via labor or capital) in a way that provides you enough personal freedom to ultimately do enough or more than enough of what you want to do that makes you happy. Your title implies Sotomayor doesn’t love her life and that she’s corrupted her “calling”. None of these are really substantiated besides David Brook’s single quote – you take major license to stretch that quote around the tent of your argument. Essentially, why caricature Sotomayor’s life to make your case? Lastly, it would serve your argument better to compare the lifestyles of Supreme Court Justices. Comparing an author to a Supreme Court Justice is a stretch. The Supreme Court can play a decisive role in most our nation’s key political questions. If your calling is Supreme Court Justice, maybe it isn’t corrupting to have 12 hour workdays (like cardiothoracic surgeons). In other words, all callings aren’t created equal. There’s other subtle and major problems with the post but whatever. i really like the idea of competence traps, i was actually thinking about something similar the other day, wondering whether pursuing minors in philosophy and religion were just to make my resume look nicer, when all i really want to do is take a few courses. i am still thinking that through. I stumbled across your website today. Your posts are pure brilliance. In the course of the past few hours, I’ve managed to inhale an unhealthy amount of them. Thanks for providing your quite obviously very well thought out insight into the world, and best of luck with the rest of your graduate work. I am just amused by this drivel. You are assuming people have some kind of free choice allowing them to plan their lives to perfection and then carry their lans out. As an Asperger Syndrome person, I find that viewpoint ludicrous. For me, there are certain things I can and cannot do and certain lifestyles I can and cannot tolerate. By and large society is designed for the great majority and the options actually available are mostly impossible for me. I have to ignore competition and focus on my own destiny or I am dead in the water. I may be wrong but I think perhaps 2/3 of the creative serious achievers in history were Asperger people. Perhaps the rest of you don’t really count, you’re just competing with one another for purely narrow and selfish goals. Have fun! Get more stuff for yourselves! Get the jump on the competition! Out-compete them and then jump on their heads when they’re down because they don’t deserve to live! They’re just losers! Remember, War is just Politics carried out in a different way, or maybe it should be Politics is just War carried out a different way. Who gets “success” and who gets “failure” is just a matter of Politics. Pingback: Dear CCF Freshmen « Forever curious, never serious. Overall, I agree with your article, but these are some things I happen to disagree with. I have tremendous respect for you Mr. Newport and I have read your books and have used them frequently. I do have some concerns. A subject like this does not have a concrete solution, but it will always be somewhat abstract and of course individualized and can never be boiled down to two ways of struggle towards one’s personal greatness. Class, privilege, gender, sexual orientation, and race also have a large part on determining the settings of our lives whether we want it or not, but we may guide the path through hard work and progressing towards perfection; never reaching it. Justice Bader Ginsburg had a similar style, but also she had and still has to work four times as hard as say, perhaps, Justice Scalia and Justice Thomas, to be declared credible. White male privilege is in the air, all around us like a smog. We must take this into when hacking the lifestyles of Justice Sotomayor. A poor Latina from the Bronx doesn’t have a choice like McKibben to follow his style, nor an adoring supportive spouse willing to relocate for her career. We are in the United States and privilege is prominent in our lives and influences us in subtle and overt ways. If Justice Scalia and Justice Sotomayor’s dissents and personalities were swapped, it would be completely unacceptable for Sotomayor and she may be relieved of her lifelong duty. I am only asking for evidence of the cost of her lifestyle. Is there a cost to the lives of the other Supreme Court Justices? Are they all married? Where is the evidence that indicates that this lifestyle is preferable over the other, besides supplemental and anecdotal? Perhaps it is not the lifestyle, but the occupation? Comparing the tasks and burdens of a Justice to McKibben’s writings and organizations automatically put Sotomayor at a disadvantage when observing her assumed lifestyle; as we do not know her life or her happiness. Thank you for your site with its amazing insights, it is a great thing to have online.